The Clog is here to help ease some of the Phase I stress by offering some recommendations for classes you can take to add some extra units. UC Berkeley announced the Data Collaboratives program Sept. 10, allowing students to use data science to solve real-world problems. 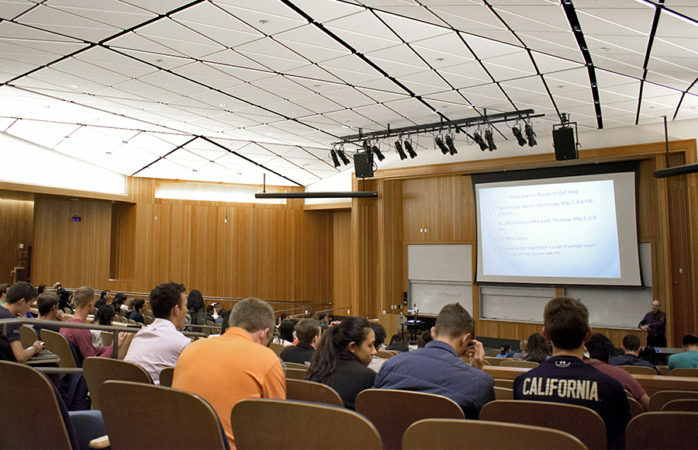 At a packed town hall-style meeting Thursday, students and staff gathered to hear presentations and ask questions about UC Berkeley’s data science major and minor program, which program organizers hope to make available next semester. The campus library launched a new website July 13 which compiles resources for campus researchers. The campus has created an interim dean position to lead the development of the new Division of Data Science at UC Berkeley, as announced Dec. 19. Last week, UC Berkeley announced the launch of a data science institute that will join together researchers from all fields and facilitate unique multidisciplinary research on campus.